NEW! Father’s Day Special Offer! 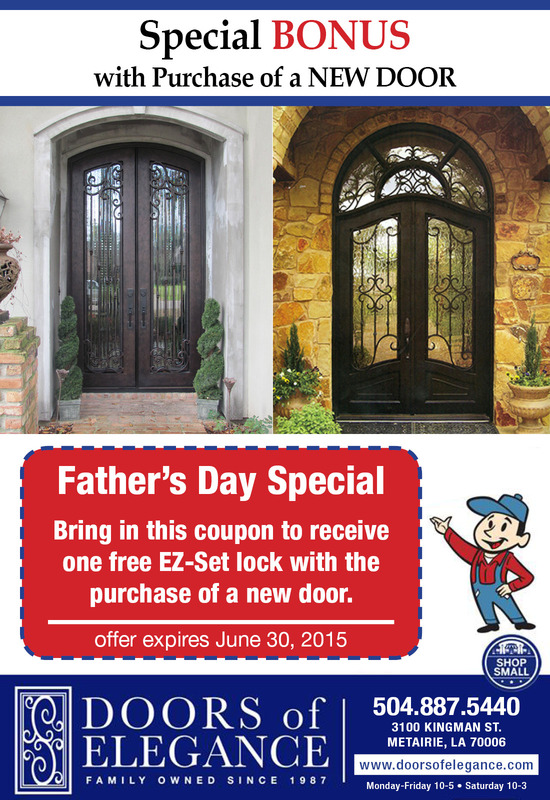 To celebrate Father’s Day, take advantage of a very special offer by Doors of Elegance now thru the end of June. With the purchase of a new door, receive one FREE EZ-Set lock system. This offer expires June 30, 2015.